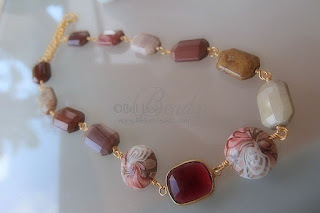 As we embark on a fresh new year, my first creation is a cheery, happy piece with subdued rosy colours. 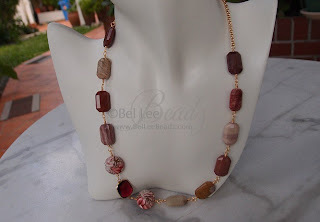 Faceted, oblong Imperial Jasper pillows, polymer clay lentils and a vermeil encased deep garnet tone connector, this would look outstanding on a multitude of colours. Quite perfect for the another festive season that we're leading up to.